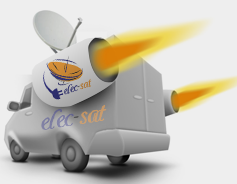 Elec-sat Installation is a satellite and TV Aerial Installation company based in Manchester and covers the Northwest of England including Stockport. After the broadcast transmission changed from Analogue to Digital our company, we extended our services to meet with the advancing technology and our customer’s needs. Our qualified engineers have repaired and installed hundreds of satellite dish and TV Aerial all over Stockport, this can be confirm through the Five Stars reviews left by our customers locally based in Stockport. 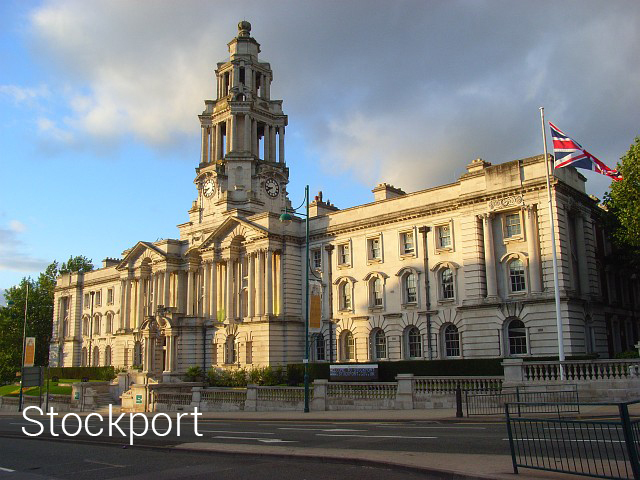 Our company is mostly targeting householders and commercial properties or business users in Stockport. Our company made up of a professional and well trained personnel is ready to assist with all kinds of satellite TV and TV Aerial installation and repair services. Due to the fact our engineers are locally based in Stockport with a well knowledge of the terrain, you can trust the advice our experts provide. If you have just moved in or live in Stockport and need a TV Aerial or Satellite Dish to be Installed or repair in your property, please don’t hesitate to contact Elec-sat Installation. Elecsat installation offer a full Satellite TV, Aerial installation & repair, and CCTV security service throughout Stockport , providing a same day service And offer a full Satellite TV, Aerial ,sky dish ,freesat , motorised dish installation , repairs& alignment ,cable or wire extension ,and CCTV security service & providing a same day service t satellite TV for French, German, Italian, Spanish, Portuguese, Polish, Russian, Romania, zech republic, Latvia, Lithuania to the following postcode areas - Cale Green, Great Moor, Stepping Hill, Woods Moor, Mile End, Heaviley, Offerton, Heaton Moor, Heaton Mersey, Heaton Norris, Heaton Chapel, Lancashire Hill, South Reddish. Adswood, Edgeley, Shaw Heath. Heaton Moor, Heaton Mersey, Heaton Norris, Heaton Chapel, Lancashire Hill, South Reddish. Reddish, North Reddish, Brinington, Houldsworth, Bredbury, Lower Bredbury, Greave, Woodley, Compstall, Marple, Marple Bridge, Hawk Green, Cote Green, Lane Ends, Mellor, Ludworth Moor, Doodfield, Ley Hey Park, Romiley, Bramhall, Bramhall Park, Bramhall Moor, Norbury Moor, Hazel Grove, Woodford, Cheadle, Cheadle Hulme, Gatley, Heald Green. Styal, Handforth, Wilmslow, Alderley Edge, Glossop, Dinting, Chisworth, Higher Chisworth, Simmondley, Charlestown, Hadfield, Poynton, Disley, Lyme Park, Middlewood, Hockley, Newtown, New Mills. SK1, SK2, SK3, SK4, SK5, SK6, SK7, SK8, SK9, SK10, SK11, SK12, SK13, SK14, SK15, SK16, SK17, SK22 & SK23S We have satellite TV engineers working in Stockport every day, and you may well have seen our Van in your location.